How To Access to Omegle & Chatroulette? 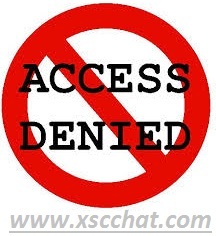 In some countries some webcam chat sites are blocked, so you can't enter to chat. Generally they block Omegle, Chatroulette, Cam4, Camzap and sites like them. To enter these sites and more blocked sites you need to change DNS numbers on your pc. There are many ways to enter blocked sites but a simple and working method is to change DNS. We have mentioned in our last posts about DNS adresses and we have told you it’s important for most of internet users. It’s one of the most important keys for enter blocked sites. It also helps us when we have problem with our interner provider. But these DNS adresses can disappear by time. In last years too much DNS adresses has perished and users hardly found working DNS adresses. We are going to give you some working DNS adresses. We recommend you to use the most popular and good DNS services. I believe no one can deny that Google is the best. You can test all DNS we provided for you and you can choose one of these DNS to use.